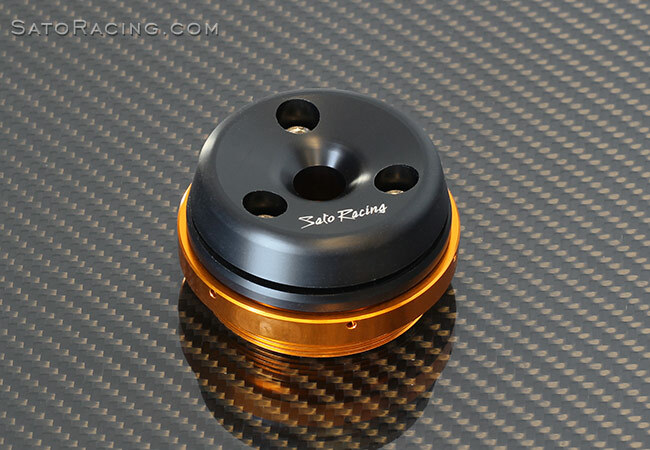 SATO RACING Timing Hole Plug for Suzuki features a tough, abrasion-resistant DELRIN guard to help protect the right side of the engine from major damage if you slide it on the track. 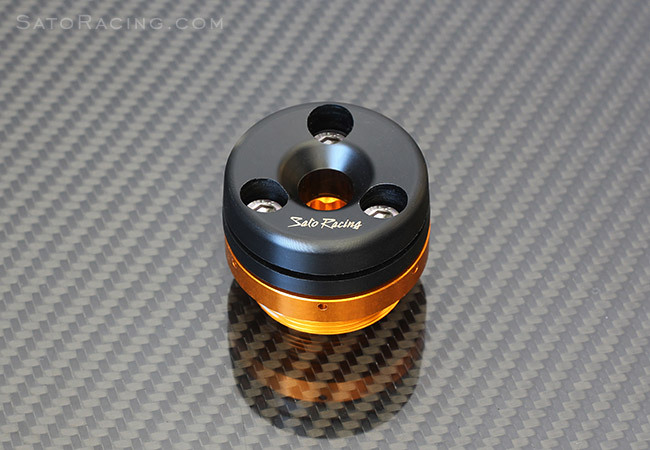 Mounted on a gold-anodized billet aluminum base. 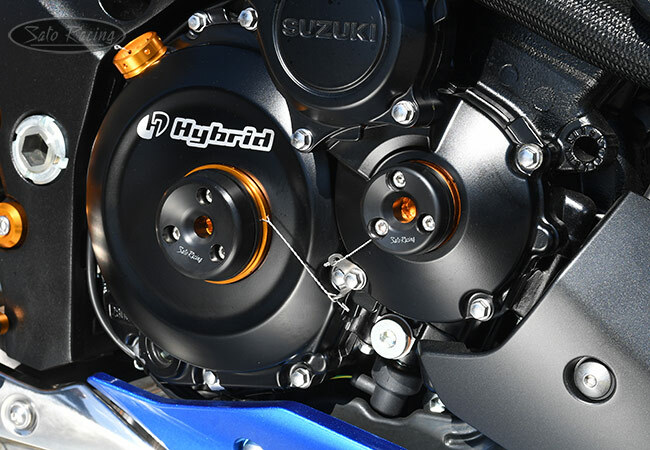 2 types available: CLUTCH SIDE and POINT SIDE. 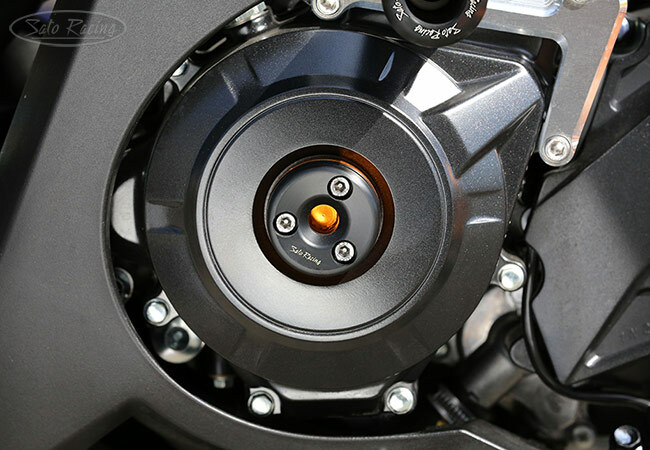 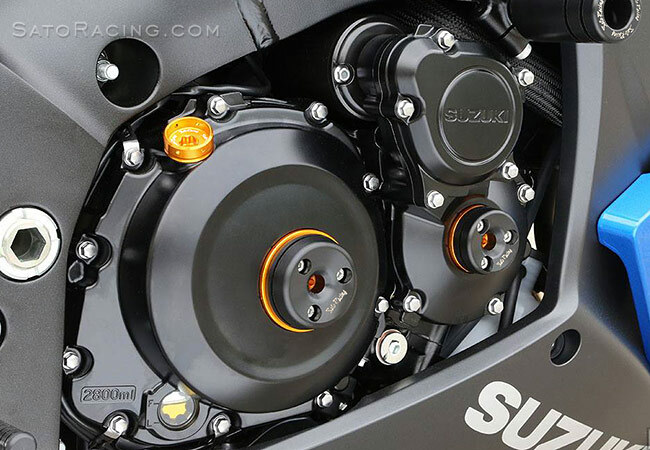 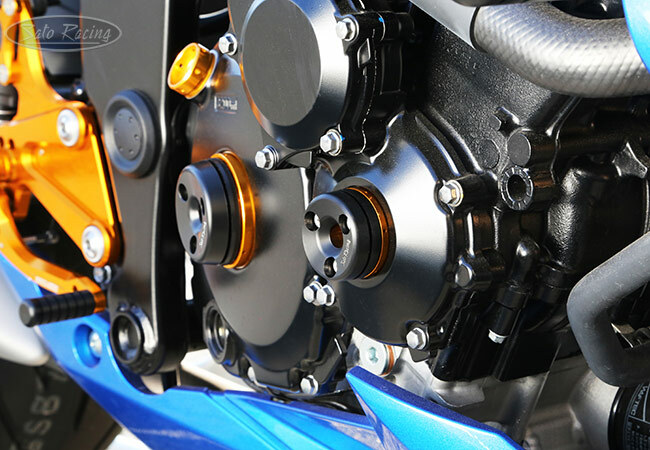 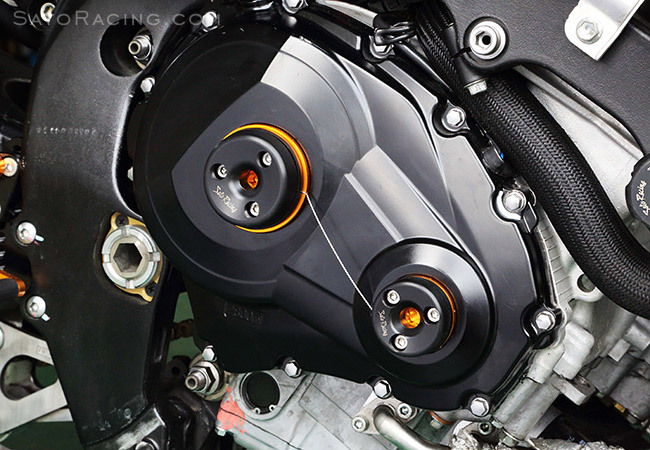 On GSX-R and GSX-S models, the 2 types of Timing Hole Plugs can be installed together for even greater protection. 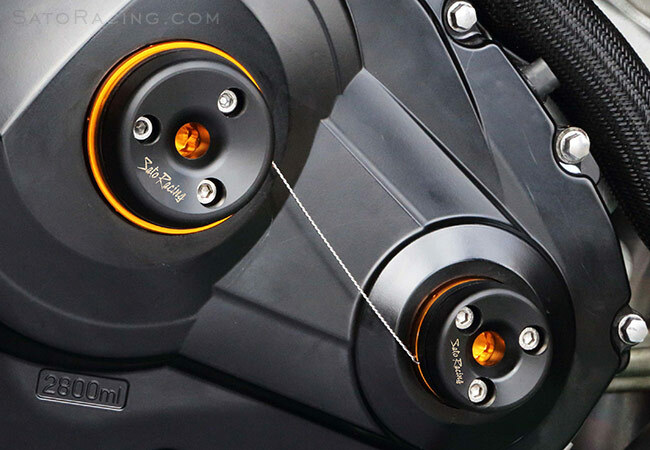 This bendable titanium plate offers an anchor point to attach a safety wire, to help keep your Timing Hole Plug from vibrating loose or falling off.